***8 different hospital scenes! 28 puzzles & games! ***8 different dinos and help to cure them. 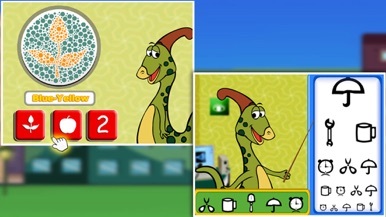 ***Cute animations and Dino Stickers as Rewards! 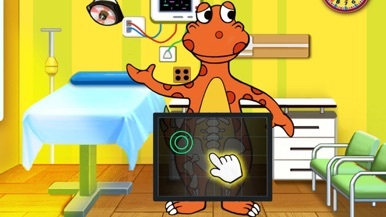 Play with Dino Hospital, be a doctor! 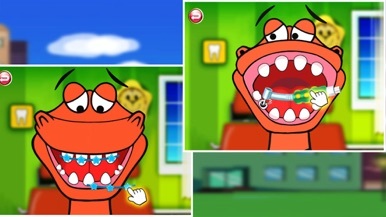 Kids can do: Fill teeth, Check Vision & Colorblind, Injection, X-rays and joint broken bones, Check-up, and etc. Dr. Dino includes 8 department: Trauma & Emergency, Orthopedics, Dentistry, Ophthalmology, Otolaryngology, Gastroenterology, Physical Examination and Ward. 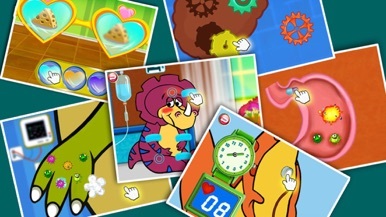 Every department contains several fun puzzles and mini-games. There are 28 puzzles & mini-games supply for your choice.